Who is to blame for the 2015 Spanish deficit deviation? On the whole, Spain’s regional governments complied. So who really deviated from the target? 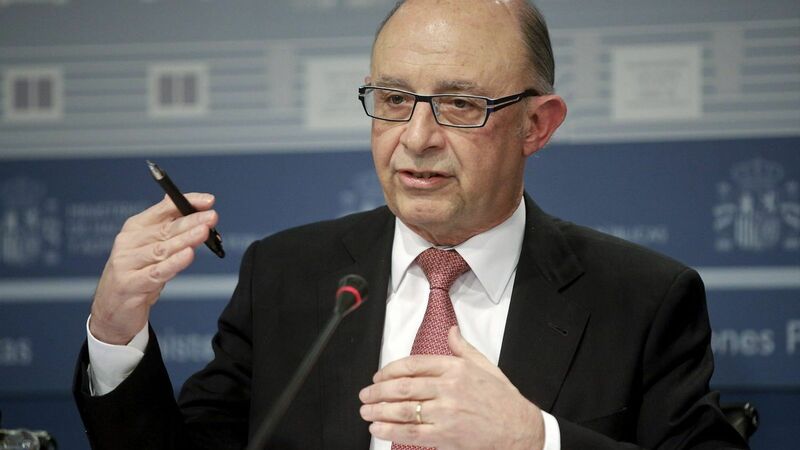 Spain’s Finance Minister Cristóbal Montoro explained that the Kingdom of Spain had a public deficit of 5.16% of GDP in 2015, almost one point (0.96%) above the target set by the European Commission, which was 4.2%. According to the Minister, the autonomous communities are to blame because their deficit stands at 1.66% instead of the target of 0.7%. If we were to follow the criteria of the Budgetary Stability Law —which reflect a certain proportionality among the administrations in deficit reduction goals—, the 0.7% goal set by Madrid would actually be 1.62%. The Generalitat of Catalonia and three other regional governments —the three that were not governed by the PP at the time and had an ordinary finance system— filed an administrative complaint so that the central government would correct the error. Thus, with the data for deficit targets derived from the Stability Law, the regions as a whole only fell short of their target by 0.04%. In addition, it should be noted that the Generalitat of Catalonia was charged arbitrarily with a non-recurring expense for investments made in the ten years prior to 2014 of 0.13% of Spanish GDP and 0.66% of Catalan GDP. As a whole, Spain’s regional governments did comply. So who really deviated from the target? The Spanish General Administration, together with the Social Security Treasury. Why? Undoubtedly pensions have continued to grow, without adequate support from tax revenue or contributions. But what really made a difference is that —for strictly electoral reasons— the Spanish government rushed to cut income tax by 6 or 7 billion euros (this is Montoro’s own estimate), which is the equivalent of between 0.6% and 0.7% of GDP. If we discount the three-tenths for non-recurring operations, this represents the entire deviation from the target negotiated with Brussels. The central government chose to do this. The Finance Ministry says that pensions must be defended, and nobody will argue with that. The same with aid for dependent family members, support for underprivileged citizens, as well as healthcare and education spending. But all of this spending is done by the regional governments, and it is precisely that which the Treasury is forcing them to cut. The Minister boasts that spending on welfare has increased by 46 billion euros since 2007, but he finds it normal that the rest of social spending, as well as healthcare and education spending, is roughly the same in 2015 as it was in 2007. The Spanish government says that the reduction in income tax boosted economic activity and created jobs. That is highly arguable, for three reasons. First: if it were true, we would have to say the same of the entire public deficit. The more the government spends, the more public consumption grows, as does GDP. Second: why is it better to reduce income tax than to maintain public spending? Third, and most important: all analysts explain the growth in activity by the happy coincidence of the drop in oil prices, the depreciation of the euro, and lower interest rates. It wasn't the reduction of income tax. The government wanted to lower taxes for electoral reasons and now it wants to lay the blame for the deficit on the regions. A few months ago the European Commission saw very clearly that Madrid was proposing a tax reduction that was incompatible with its deficit target. Now that Madrid is pointing fingers at Spain’s regional governments, it should remember that.